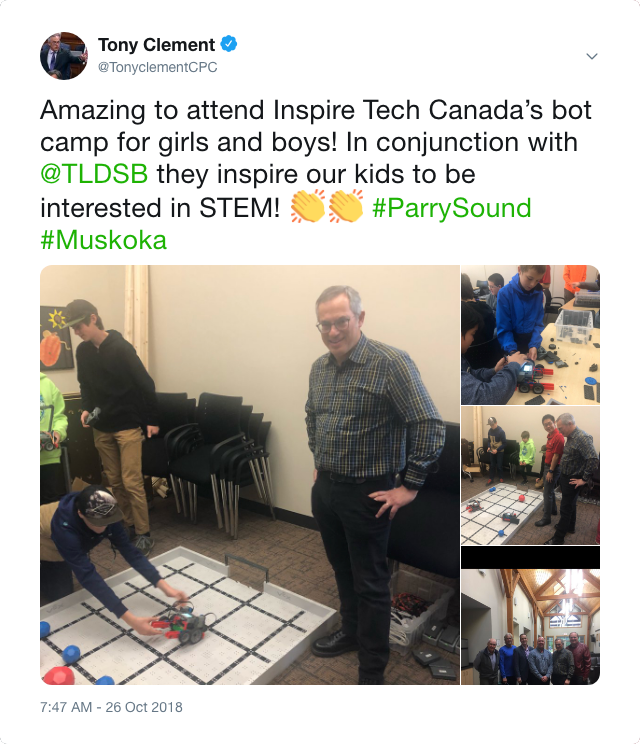 This past Saturday on October 26, grade 7 and 8 students had a great time participating in INSPIREtech Canada’s BOTCAMP Bracebridge! 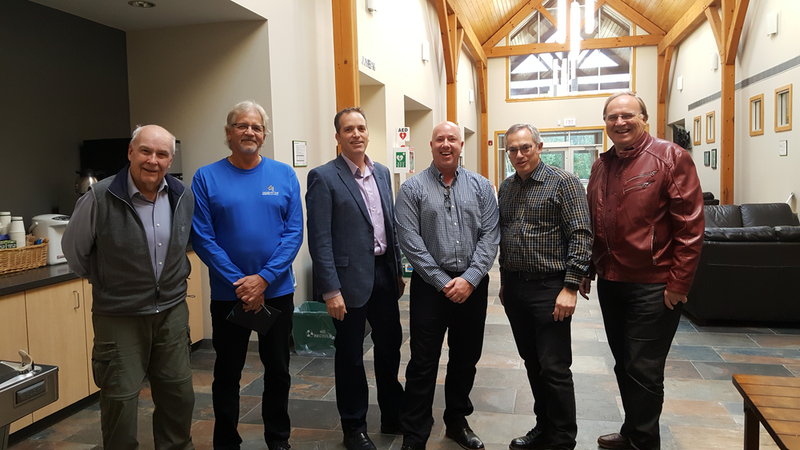 The event was also attended by sponsors (first photo from left to right): John Cooper from PMCN, James Stobbe from Innovative Automation, Derek Berghout from Royal Bank, Kyle Boyko from InspireTechCanada, MP Tony Clement and Stuart Morley. Mar 28 2019 IMPACT Awards: Finalists Announced!